Bar Celona Tapas and Rice has brought authentic Spanish cuisine to Macau. Located on Macau’s Northeastern side, this genuine gastro bar offers a range of small and medium-sized tapas (sharing plates), allowing guests to experience more textures, colours and flavours than a traditional dining experience. Bar Celona’s Executive Chef, has worked in Europe, the Middle East and Asia, for the past 20 years, perfecting his culinary expertise. 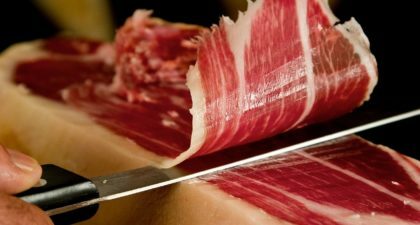 Visitors are recommended to try the Jamón Ibérico Puro de Bellota, a platter of thinly sliced Iberico Ham 48 months cured, and ask the Chef for any daily specials that are not typically listed on the menu. The ambience is relaxed and cosy, offering a perfect escape from the madness of Macau’s bigger locales. The gastro bar is open weekdays from 17:00 to 02:00, and weekends from noon until 02:00.